Educational tourism is one of the fastest growing areas of the travel and tourism and one that is too often overlooked by tourism professionals and marketers in Nepal. Educational tourism is a tourist activity undertaken by those who are undertaking an overnight vacation and those who are undertaking an excursion for whom education and teaching is a primary or secondary part of their trip. 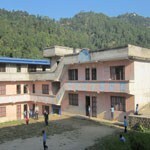 Orphaned and destitute Children of Nepal Educational tourism then comes in a wide variety of formats, yet despite the differences all forms of educational tourism have a number of points in common. Among these are, the idea that travel is as much about self-improvement as it is about relaxation, that learning can be fun, and that learning is for people of all ages. It does not need to be weather dependent, a community does not need special geography and usually most of the needed infrastructure is already in place. Tourism is big business scope in Nepal. Travel expenditures today are a major source of income and employment for many nations and it also has contributed significantly to employment. And Global tourism today provides employment for more than 222 million people worldwide, or approximately one in every twelve workers, and it is widely believed that service industries are one of the major potential growth areas of post-industrial societies. Educational tourism then comes in a great variety of formats, places seeking to enhance their educational tourism product however have to first consider who their market is and what they have to teach others that is special or unique. Educational tourism is a way to use better our facilities. 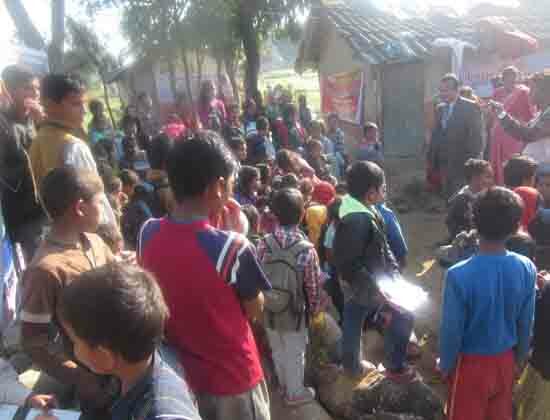 We’ve been working with different community and school, college and universities in Nepal hence, if anybody want to visit Nepal and interest in short and long term volunteer or teaching engagement please contact us. We’ve special provision and necessary arrangement whatsoever may in need after thoroughly discussion with you.